The Fairoak Owls are our Tenant Board representatives. The Owls meet every 6 weeks and are involved in organising events and helping develop policies and information that affect all of our tenants. The Owls give us their ideas on how to make the information we send out more customer friendly. 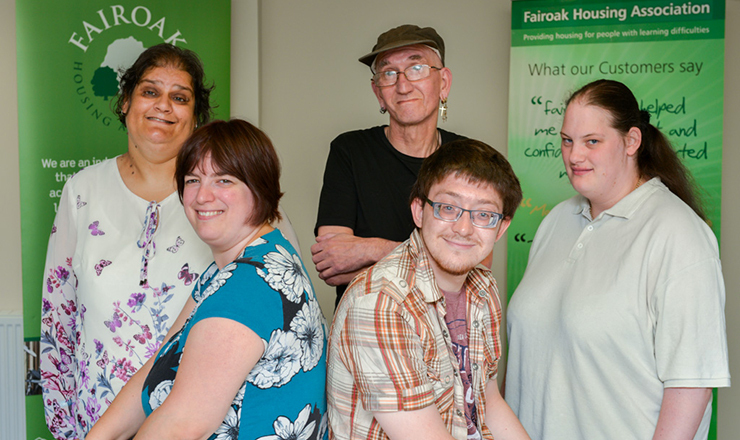 They also help organise the events and social activities that we hold for our tenants. As we are hoping to have more of these each year, there will be a lot more work to do! The Owls have looked at the draft questionnaire and forms produced by the staff and gave feedback on the style, questions and design of the forms. The Owls hold coffee mornings so that they could introduce themselves to tenants and explain what their role is. The Owls talk to lots of tenants and help them to fill in the customer satisfaction survey and hobbies and interests form. The Trustee Board ask the Owls to give their views on the organisation’s mission, vision and values. The Owls helped create a new set of five values which underpin all the work that we do and, most importantly, the way in which we do it. The Owls look at reports that Fairoak have produced in the past and told us what information they would like to keep and what parts they felt were not so important. The Owls also decided on the format and design for how the report would be presented. As you can see, the Owls are very involved and they give their views on some of Fairoak’s most important documents, as well as the equally important work of planning events and activities. If you are a Fairoak tenant and would be interested in joining the Owls and having your say then please let us know!